Only three stages before the end of the second league of Germany meet two teams that retain their motivation and need to accumulate points to the end in order to achieve their goals. 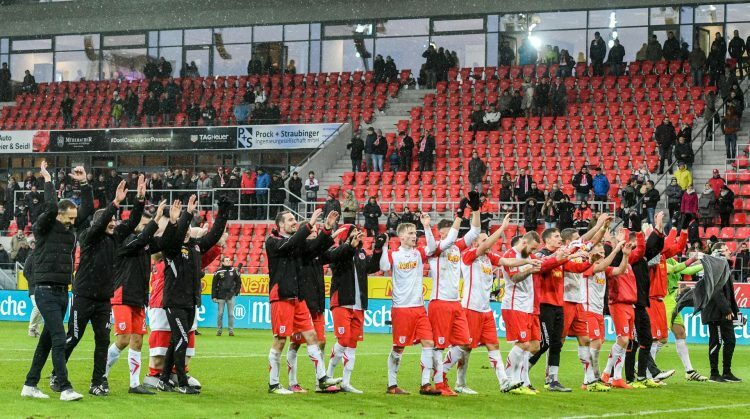 Duisburg is ranked 10th in the 41-point ranking, with only four more points in the relegation zone and Regensburg, which is 47th out of 4th place, still retaining a chance to take a position and participate so in the play-off for promotion into the elite of German football. Duisburg is in a very weak form and has scored in the last 5 stages 1 single win, 1 draw and 3 defeats, with a negative goal of 6/10. On the other hand, Regensburg comes after 2 wins, 2 draws and 1 defeat, with a spectacular 9/8 goal. I think both teams have the necessary offensive force, as well as the motivation to give all the best in this game and to score at least one goal.